Medication Management and Administration – Each Abbington assisted living community has partnered with a local pharmacy provider to offer a comprehensive pharmacy service including free consultation, labeling, packaging, and delivery. Abbington’s Medication Administration Program combines the professional pharmacy service with on-site medication administration by our licensed nurses for our residents. You can relax and leave the hassle of managing medications behind. 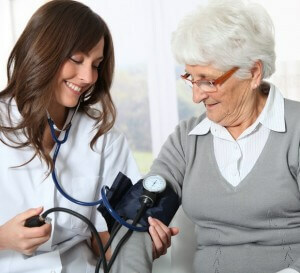 Coordination of Services – Abbington Assisted Living provides and coordinates wellness and health services to promote and maintain good health for our residents. This list is not all-inclusive and may vary by location. Abbington’s management team, nurses and resident care staff work closely with our home health partners to identify and coordinate health care services that each resident may need. We communicate with residents and families to decides what is best for each individual and the health care provider is ultimately the resident’s choice.